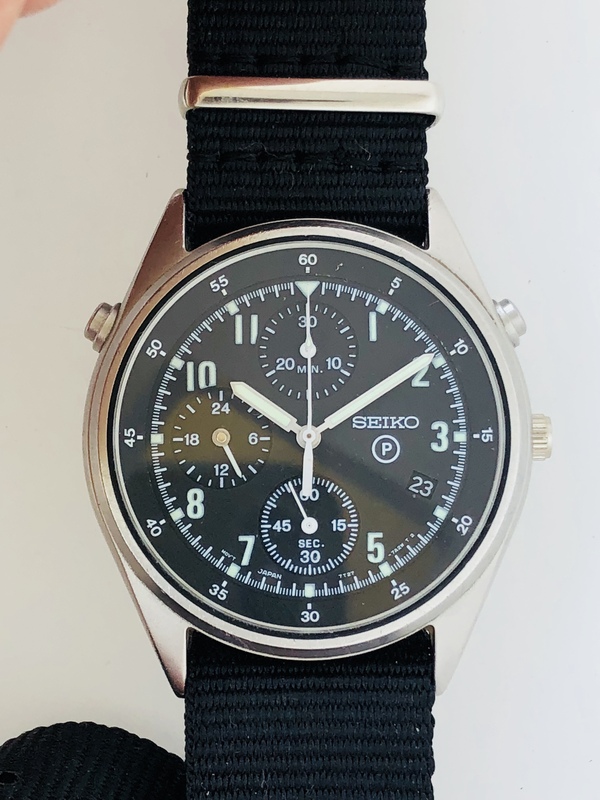 A really superb example of an officially issued British military chronograph from 1994. 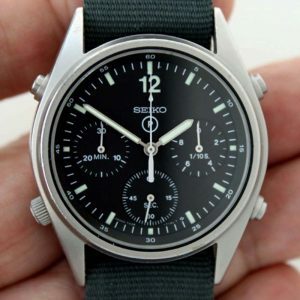 It has a scratch free Seiko mineral glass fitted and as you can see, the dial is in superb condition. 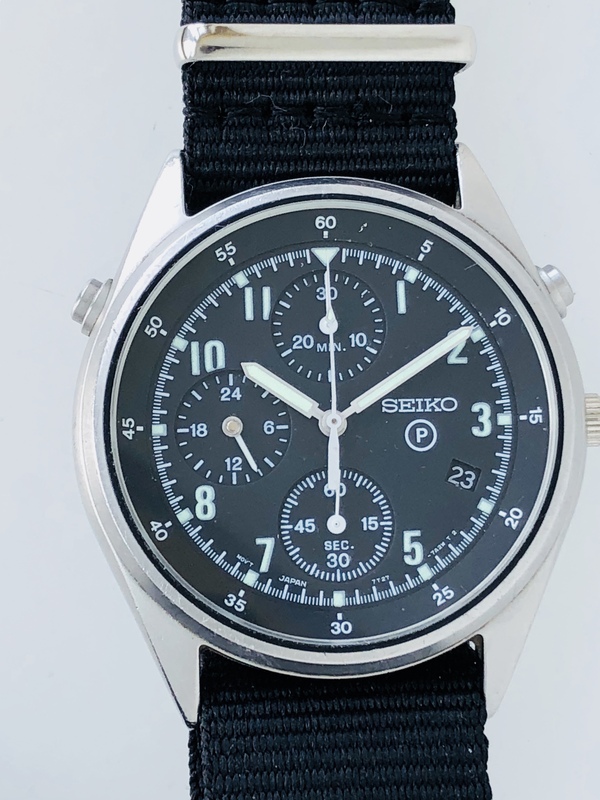 A great looking British Military Seiko Royal Air Force Pilots Generation 2 model with correctly stamped British Military issue markings on the case-back. 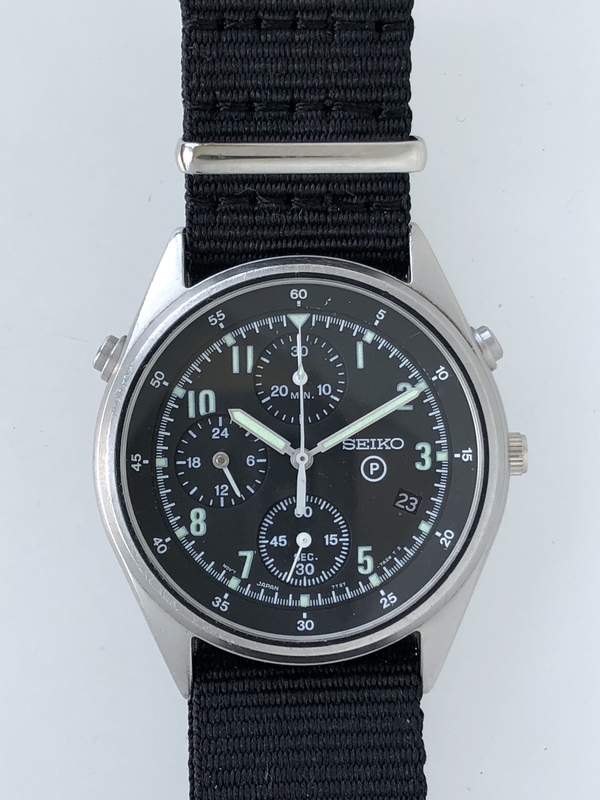 These watches are slightly larger than their Generation 1 cousins and are becoming very desirable and collectable due to their military history and practicality and functionality for everyday wear as chosen by the British Armed Forces for use primarily by its pilots. 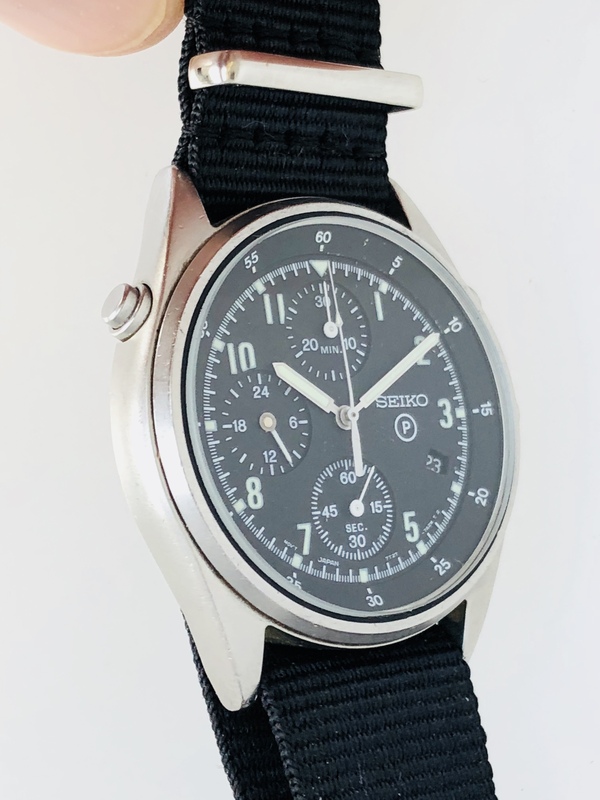 It has a quartz chronograph movement and a sand-blasted all stainless steel case with fixed military bars for operational reasons. 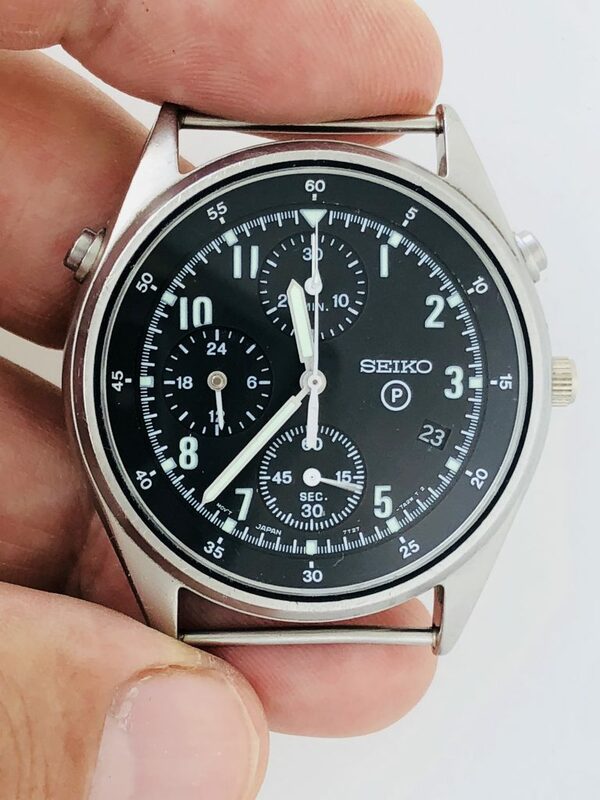 The dial is mat black with subsidiary seconds at the 6 position, and the thirty minute elapsed timer at 12. there is a twenty four hour time representation at the 9 position, which is for pilots to calculate flight plans across different time zones. 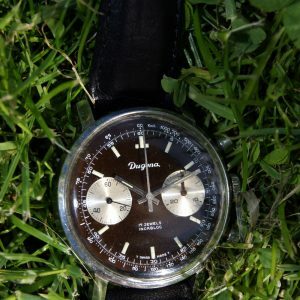 The inner bezel has sixty second markings and the chronograph sixty second recorder is the sweep hand. 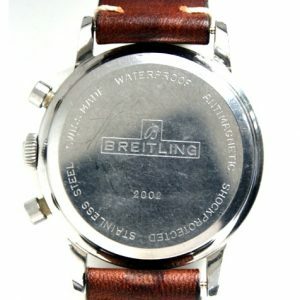 Some light marks to the case as to be expected in an ex-military watch but is otherwise in superb condition. 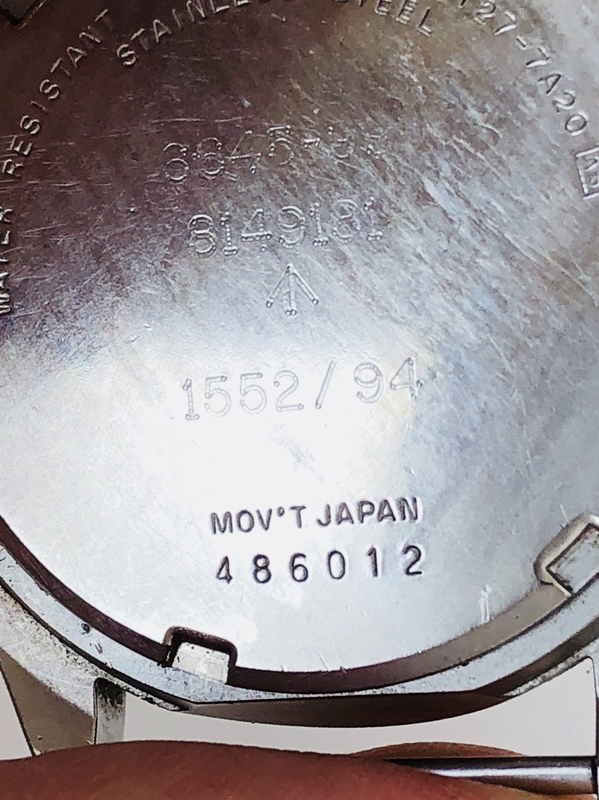 The case-back has the British Military issue numbers: 6645-99-8149181-1552-94 meaning that the watch was issued in 1994 It has the traditional British Military Broadarrow mark. 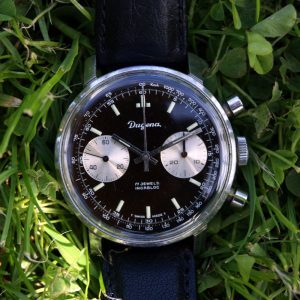 Fully serviced and all functions working perfectly. Keeps perfect quartz time and all the chronograph functions work correctly and return to zero perfectly. New battery just fitted. 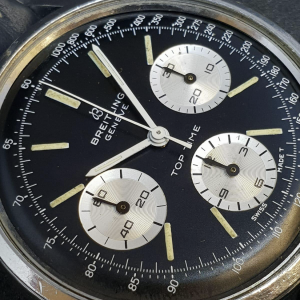 Many more high resolution photographs of this watch are available upon request.This is one the best example of these Gulf War 2 British military chronographs we have seen. 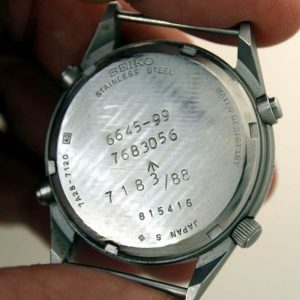 Comes with our usual free 12 Months Warranty. 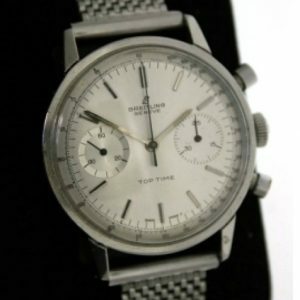 Many more photographs of this watch are available upon request.